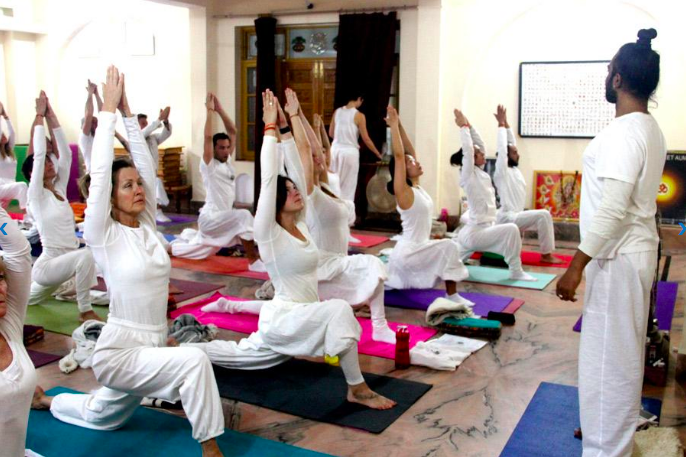 Dr. Jitendra Das is a teacher of hatha yoga in Rishikesh who teaches traditional techniques and approaches to yoga. He has studied and practiced Yoga, Ayurveda and Vedic scripture at school and university, as well as with senior Indian masters. He studied Yoga, Ayurveda, Sanskrit, Veda and related subjects in Haridwar. In 2001, he founded Patanjali International Yoga Foundation for Eastern and Western practitioners who seek authentic teaching of yogic science. He teaches and practices Yogasana, Pranayama, Bandha, Mantra, Mudra, meditation, cleansing Kriyas, Ayurveda and Vedic chanting at Rishikesh, and gives conferences, workshops and seminars worldwide. First I must say that I attended only two classes of this teacher some 5 years ago during a Yoga Festival in Rishikesh, so my impressions are from a long time ago. But I remembered these classes because they stood out from all the others. Jitendra Ji was teaching how to approach more challenging asanas via prior preparation of the body. 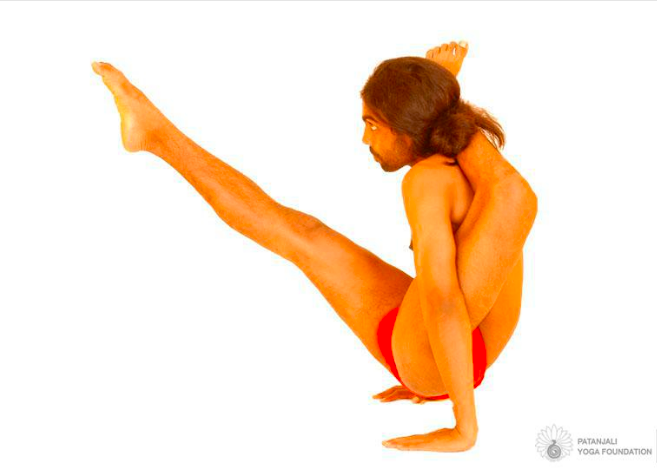 He would break a challenging asana into elements, for example, an asana that requires pelvic flexibility, shoulder strength and flexibility, and balance, and will show all the asanas that develop these aspects of our body. In this way, we would start with simple asanas and progressively increase the level of intensity or depth to approach more challenging poses. For those people who feel that bodily limitations do not allow to perform more challenging asanas, such lesson would still be a blueprint of how to prepare one's body for weeks or even months of practice. The classes had interesting ideas and techniques. I think that the classes of Jitendra Das will be most suitable for experienced practitioners who will find many new techniques and a considerable level of intensity there.